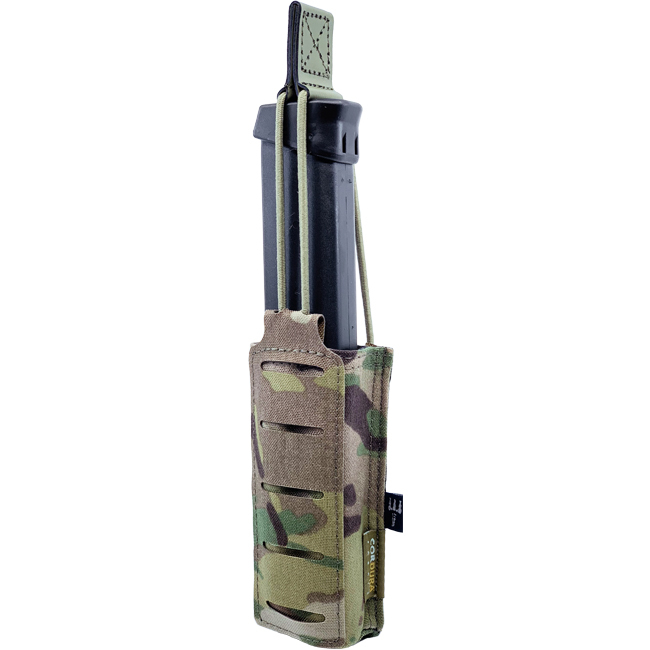 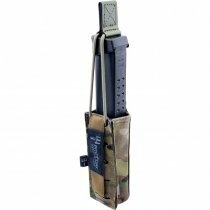 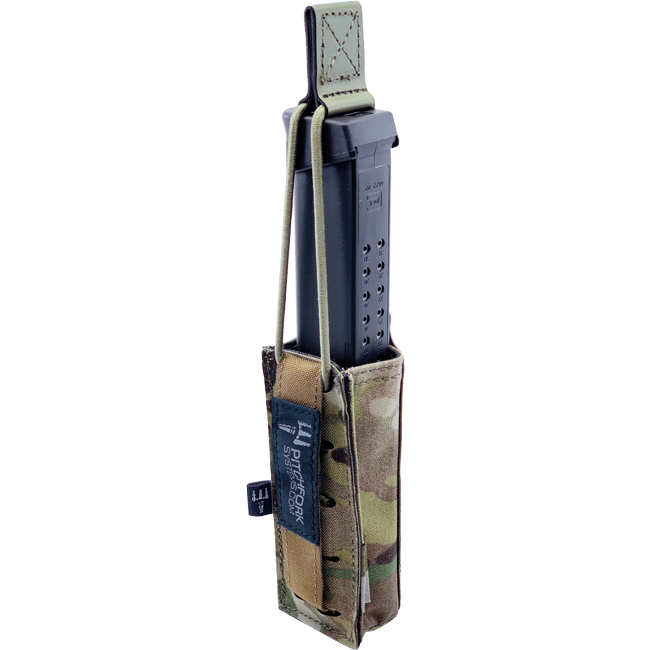 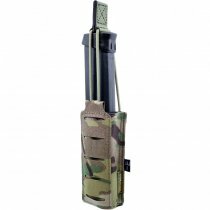 The Open Single SMG Magazine Pouch holds all common SMG magazines such as MP5, MP9, CZ Scorpion and even MP7, but also long pistol magazines fit perfectly. 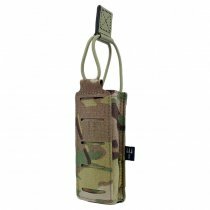 The highly resistant and slightly elastic Hypalon pull tab is adjustable in length. For a better grip, the inside of the pouch is lined with an anti-slip material. 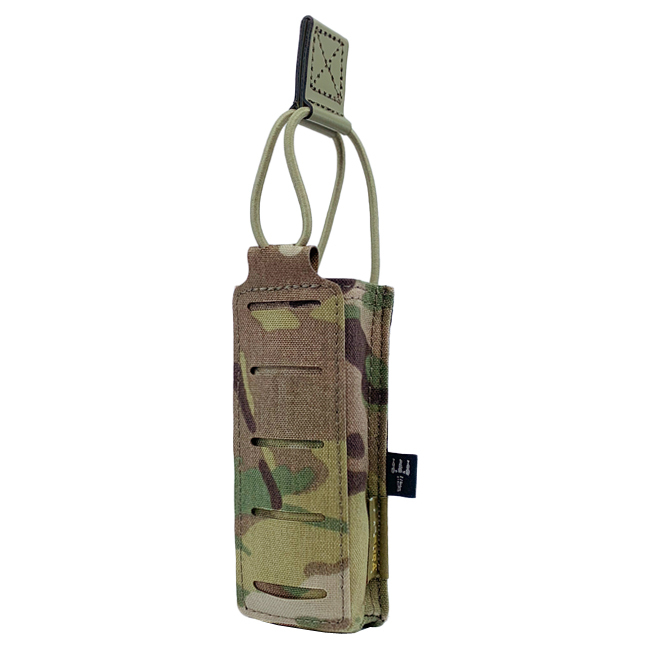 The front has a MOLLE system-based LaserCut surface, which can be used to mount additional pouches.